Rockport was founded in 1971 in Marlboro, Massachusetts by father and son team Saul and Bruce Katz. Built on the foundation of incorporating walking comfort into dress and casual shoes, these high-quality shoes are well-known for providing the ultimate in comfort and support. Rockport was the first shoe-making company that was approved by American Podiatric Medical Association (APMA) in 1984. 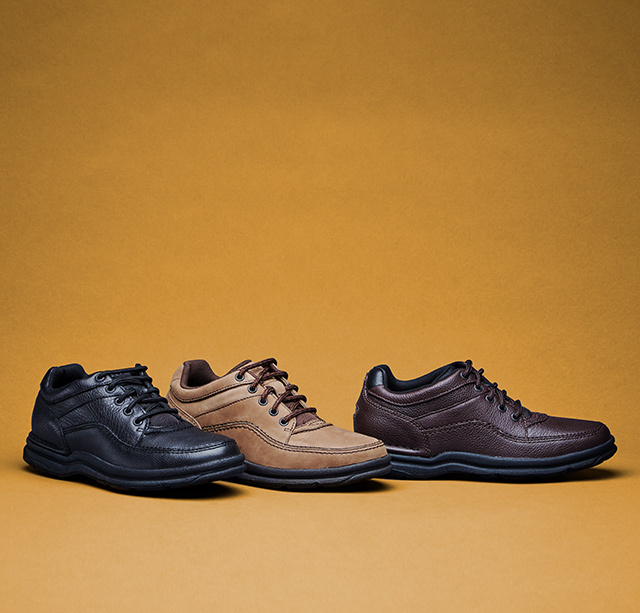 Rockport shoes are not only easy to wear but improve health of feet. It became under the global athletic brand company, Adidas AG, and keeps developing new shoes using Adidas AG's technologies.